Being annoyed by the dark, wet and cold weather of the last two months Saskia and I decided we could use some sun. The Dominican Republic came up first, but a lack of experience in side mount diving would prevent access to a lot of cool caves. To get a flying start and get our gear properly sorted we decided to book a course in Mexico. The caves there are a brilliant training area as they are warm, shallow, clear and infinitely numerous. Also, a lot of experienced instructors can be found in the area. We left Brussels airport on another cold and rainy Saturday morning and, after the usual stress of checking in and lots of waiting, departed in our new and shiny TUIfly 787 Dreamliner. 16:00h Mexico time we touched down at Cancun, took 2 buses traveling along the 304 highway with a short stop at Playa del Carmen and by 21:30h checked in at our hotel. Finally, bedtime! Het is woensdagochtend kwart over vijf wanneer we met een afgeladen Ford Focus de snelweg op rijden richting Duitsland. De afgelopen weken waren we nog druk met (het continu verzetten van) onze Fundamentals-duiken, maar een ruime week voor vertrek was de tech-rating in de pocket. De auto was ’s avonds al volgeladen en klaargezet in de achtertuin, dus na een snel bakkie yoghurt konden we op pad. Behalve Saskia en ik, reed ook Patrick mee richting Krnica en in een tweede wagen Dennis en Kim. De komende week zouden Saskia en ik met Mario Arena als instructeur aan de slag en de andere drie hadden hun cursus bij Richard Walker geboekt. Reis en verblijf in het appartement in Krnica deden we samen. De derde buddy voor ons team is er niet meer bijgekomen. By the end of the season I had made almost 70 dives and took a Rescue Diver course in preparation of becoming a Dive Master. A bunch of specialties and some more diving later I received my Dive Master certification. 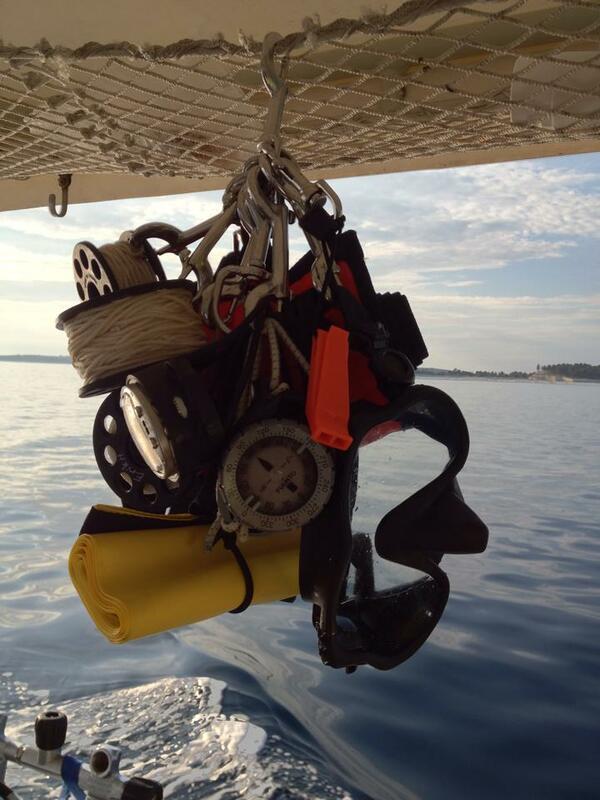 After switching organizations this became a Dive Control Specialist certification, a.k.a. ‘Assistant Instructor’. I was happy with my level of training and spend a lot of time assisting with Open Water courses at my club, ZPV-Piranha. Here I also met my great girlfriend/no.1 buddy Saskia, with whom I today have made over 250 dives with. I never really got tempted to become an instructor, and later I found out why: basic open water diving courses are put together to teach people not to die, instead of how to dive. Of course, not dying is important, but after being on a couple of diving holidays and seeing divers kick up silt, damaging coral, losing their buddy and running out of air I knew something was wrong. If my name was going to be on a certification card of a new diver, then they needed to be able dive, not just survive. This realization made me pick up technical diving. I still don’t plan on becoming an instructor any time soon, however I try learn ‘my’ students as much as possible about proper diving skills when assisting a class. 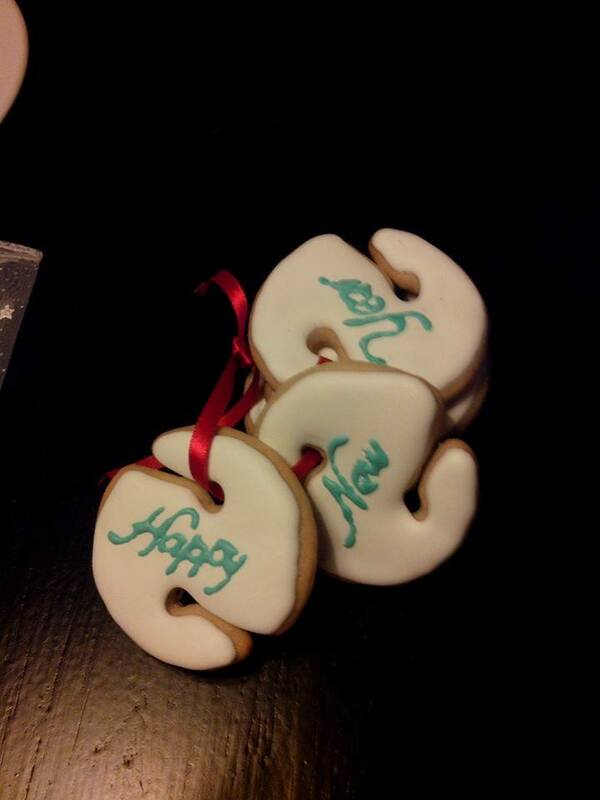 Late 2010 and early 2011 I spend most of my diving practicing skills. Perfecting trim and buoyancy until I felt in control and doing air sharing drills and valve shutdowns in the pool to make sure it became part of my ‘muscle memory’. The Advanced Nitrox and Technical Foundations course was the start of a new diving career. I was dreaming about going to Mexico or Florida to dive in the caves and going to new, unexplored wrecks. This however, as a student, was still far away and dreaming would be as good as it got. This changed on my birthday in 2012 when Saskia too was bitten by the cave bug and was going to take me to Mexico for a Full Cave course. 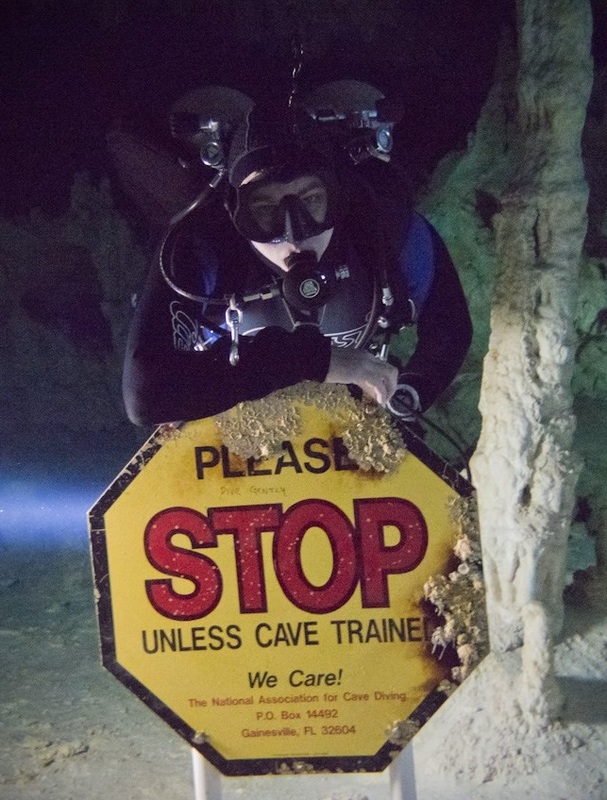 We practiced cave skills during TekCamp in England and met some great divers/instructors there. Three more friends had joined on the cave trip and with our Dutch instructor we had an unforgettable three weeks in the Yucatan in January 2013. After that we picked up wreck diving an visited more and more caves. 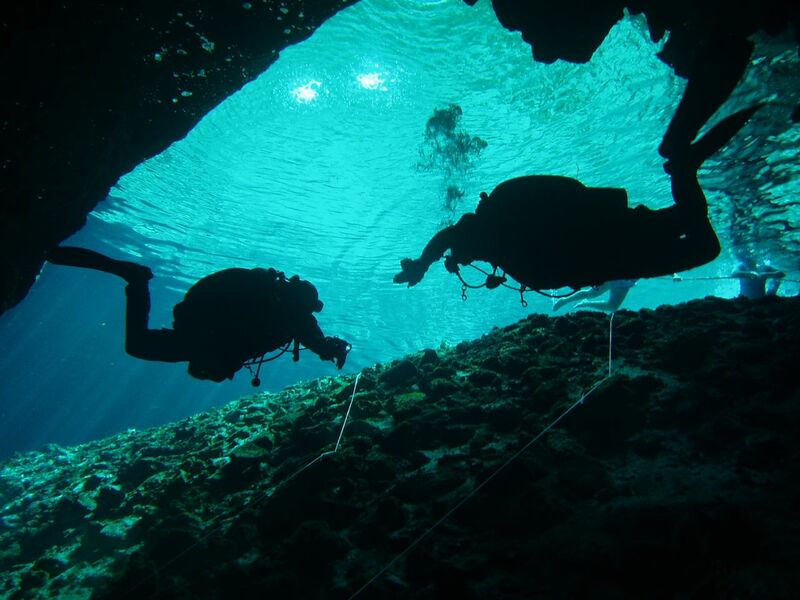 Last month the first trimix course was done to open up greater depths and even some first steps in cave exploration were taken. I can’t wait to see what the next 10 years of diving will bring! In June I visited Croatia with five cave diving buddies (Hanna, Xavier, Patrick, Saskia and Maarten) for some awesome cave diving around Vrlika, Croatia. More about this in my next post. 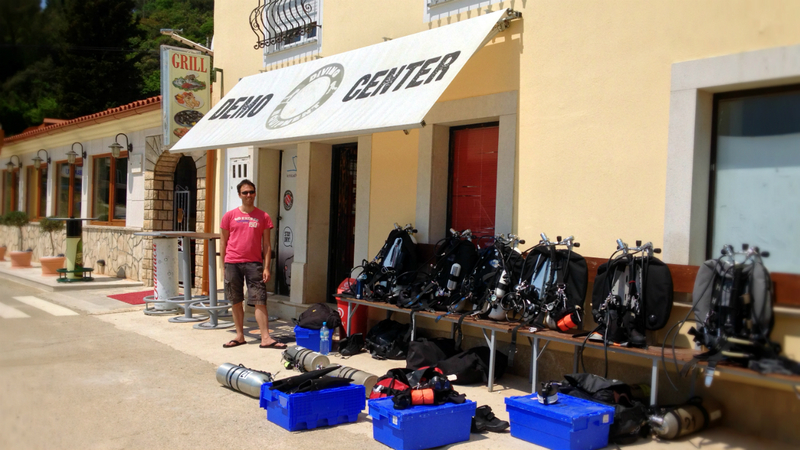 Prior to going to these caves two days of wreck diving in Krnica were booked at Krnica Dive. We (minus Maarten) visited the SS Varese, SS Baron Gautsch and the SS Lina. All three were beautiful wrecks and awesome dives. Our trip started on Wednesday evening 2100h from Enschede and after 20 hours our Ford Focus pulled the five of us, plus trailer with 10 doubles, 6 stages and a shitload of divegear, to Krnica. A scheme was made for rotating positions in the car to optimize sleep and comfort, but some lower back problems and bad smelling body odors could not be fully prevented. The downside of cheap transportation 😛 Krnica welcomed us with a huge downpour and thunderstorm. Slowly and carefully Saskia drove us in to town where we were greeted by a lightning strike less then 100m from our car. By the time we arrived in the harbor the weather had cleared and everything for next days diving could be arranged. After that it was time for pizza and off to bed. Na een half jaar proberen is het dan eindelijk gelukt: we zijn wezen wrakduiken op de Noordzee! Sinds de herfst is elk weekend weggeblazen door te hoge golven, maar de afgelopen week waren de voorspellingen perfect en zondag stond er dan ook een golfslag van wel 20cm 😉 Een blauwe lucht met lekker warm zonnetje en bijna geen wind maakten de omstandigheden perfect voor de duik. 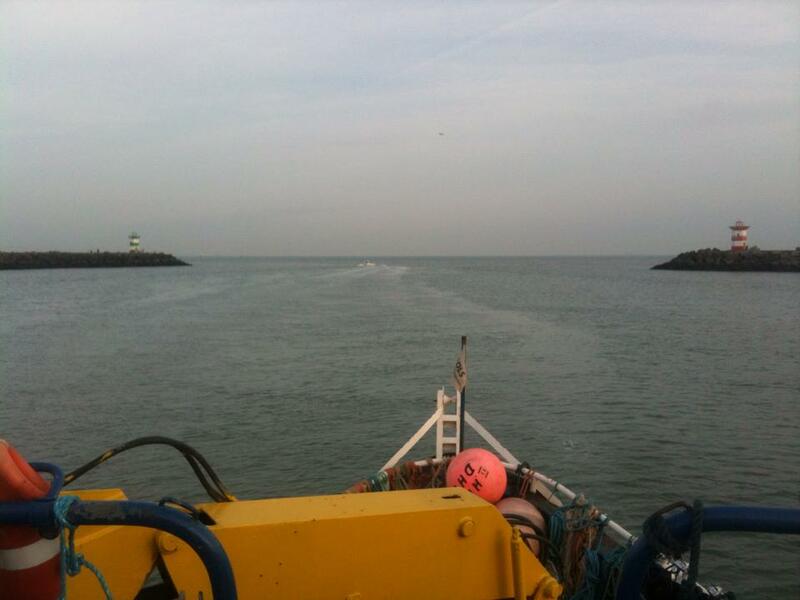 Om 8 uur vertrok de Aquila vanuit de haven van Scheveningen richting de drie Britse kruisers HMS Aboukir, Cressy en Hogue. Deze drie wrakken liggen op 40km uit de kust en het plan was te duiken op de HMS Aboukir. Doordat het de eerste tocht van het seizoen was stonden de GPS-systemen echter op de verkeerde kaarten ingesteld en was de Aboukir onvindbaar. Peilen bij de HMS Cressy leverde wel een wrak op en de shotline ging overboord. Patrick en Claire samen met Bas waren team 1 en daalden af langs de lijn. Beneden vonden ze helaas een kale zandvlakte: de lijn lag naast het wrak. Ondanks 30 minuten zoeken en erg dichtbij te zijn geweest kwamen ze na één sepiola gezien te hebben en het anker te hebben gelicht weer boven. Een goede oefening, maar geen wrak. Ondertussen is er een tweede shotline uitgegooid en deze bleek beter te liggen. Saskia en ik, onder begeleiding van Rutger, daalden dan ook al snel af tot we de eerste pantserplaten in de slijtgeul naast het wrak troffen. De reel werd afgeknoopt en we konden op verkenningstocht. "When training a new diver success is not them earning an open water certification, success is seeing them dive next year." "Snorkels are meant for snorkeling... nuff said." "Relax...open your valve...now take a deep breath... ;-)"
"Analyze your tanks before the dive: . . . it's really hard to say 'oops' while you're having seizures." 27.096 mensen doken hier voor u.